Hello! 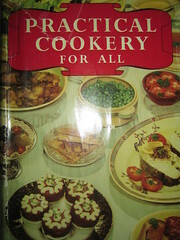 This is my first post to vintagecookbook trials. 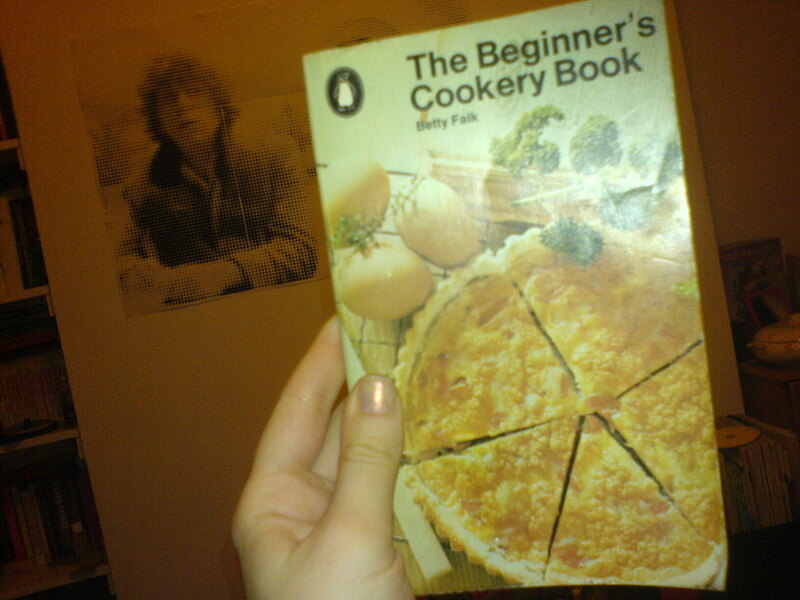 The book I’ve chosen is The Beginner’s Cookery Book by Betty Falk. Before we engage in the debate about quite how a bloody souffle is ‘beginner’s cookery’, let’s just say that I knew nothing good could come out of this book – nothing good can come out of any book that has a quiche on the front cover. Ewwwww. But, oh well, give it a go, I thought. On a look through, I found a recipe for cheese straws. Now, cheese straws have had a strange attraction for a while – every 70s cookbook anticipating a dinner party for 10+, or a Child’s Birthday Party contains a recipe for cheese straws – Children’s Party Cooking (to come!) indeed features a house made of cheese straws. But these days, they’re not even in the Sedexo catering catalogue. What of cheese straws? Would my experience in making cheese straws help me to find out why you never get them these days? Is it the post-Atkins mafia or… something worse? Let’s see.